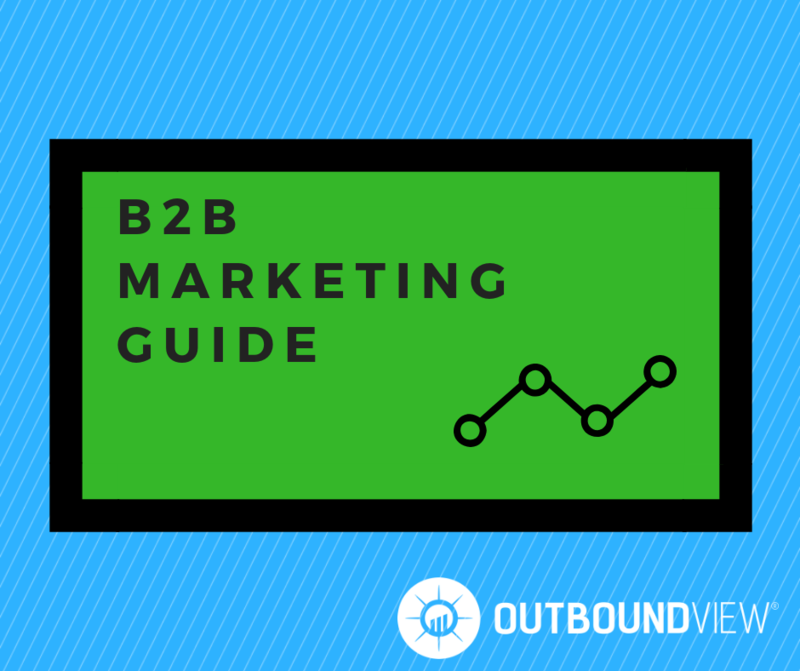 Why Did We Write This B2B Marketing Guide? 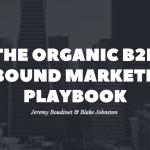 This B2B marketing guide was written to provide a high-level overview of the key components included in a B2B Predictable Pipeline Strategy. Each of the major subsections covered is important to consider when identifying and attracting new customers. Resource allocation, with both people and dollars, is difficult. This guide will help B2B companies set a solid strategy and allocate resources in the most optimal way for their business. This guide is full of actionable steps – including processes, technology, and tools that will help B2B companies build a predictable pipeline. Who is This B2B Marketing Guide For? If you’re a small businesses or startup that is looking for strategies to identify new sales opportunities, this guide is for you. If you’ve proven product/market fit, have your first 10-15 customers, and now want a strategy to scale sales and marketing, this guide is for you. If you’re a company that has just received funding and want to properly allocate resources across sales and marketing, this guide is for you. If you’re responsible for budget allocation across sales or marketing (Head of Sales or CMO), this guide is for you. If you’re interested in learning new tactics around driving top-of-funnel activity (sales management and individual contributors in sales and marketing), this guide is for you. Simply put, this guide is for anyone trying find more sales opportunities for their B2B company. What Do You Do With This Guide? Use this guide to map out your predictable pipeline strategy and allocation of existing resources. Use this guide as a starting point for identifying exactly where you should be making sales and marketing “bets” that give you the best opportunity to find new business. Use this guide to shape a 12-18 month strategy that gives your business the best opportunity to find new sales opportunities and grow revenue. Use this guide to implement and test new processes across sales and marketing to see what works best for your business. Every single company struggles with deciding how to allocate sales and marketing resources. When should you hire? Who do you hire? How much do you spend on sales and marketing? We fundamentally believe most companies struggle with attracting new customers because they don’t have a sound predictable pipeline strategy. A sound strategy starts with knowing all the channels you can possibly allocate resources to – smaller organizations struggle with this because they can’t afford the $150K/year CMO with the requisite experience. To set a sound strategy, you must test something until you can prove it works. Once you’ve proven it works, you throw dollars and people at that strategy. B2B Marketing and Sales teams need to be testing things like outbound marketing, paid advertising, PR, events, etc. to search and find what is going to work for their business. We help our clients test what is and isn’t working so they can implement a sound, executable strategy. Too many companies try to hire their way into growing revenue. 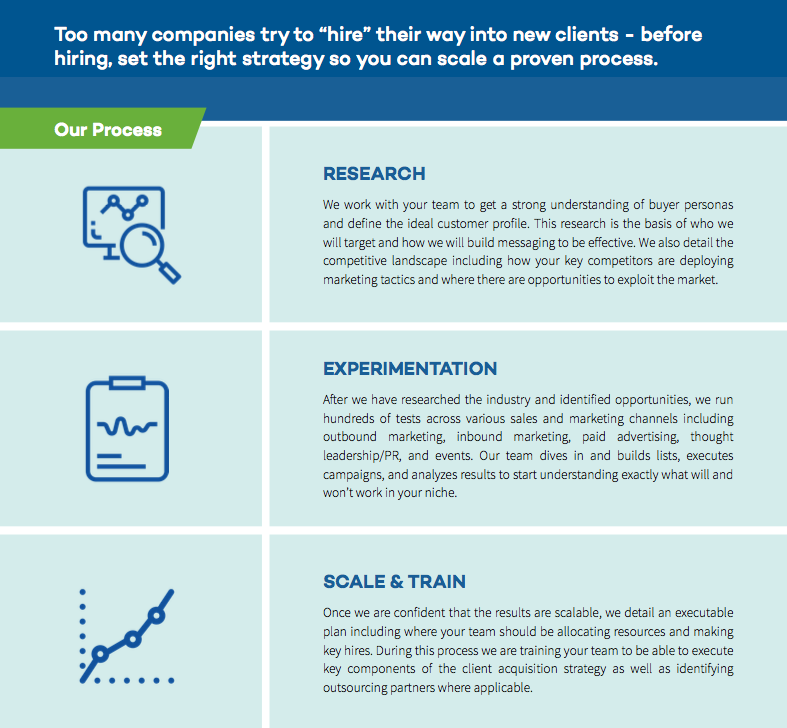 We find countless companies that try to scale with hiring, without having the process or proof to be scaling. They hire outside salespeople before they truly know their customer. They hire five inside sales reps before they have the tools and processes to make inside sales successful. Before hiring, set the right strategy so you know exactly what types of hires you need, and what those hires will be doing to scale what is already working. As you are building a predictable pipeline strategy, you should be running hundreds of different tests to see which ideas are the most effective. Initially, you should be running numerous quick, cheap tests. 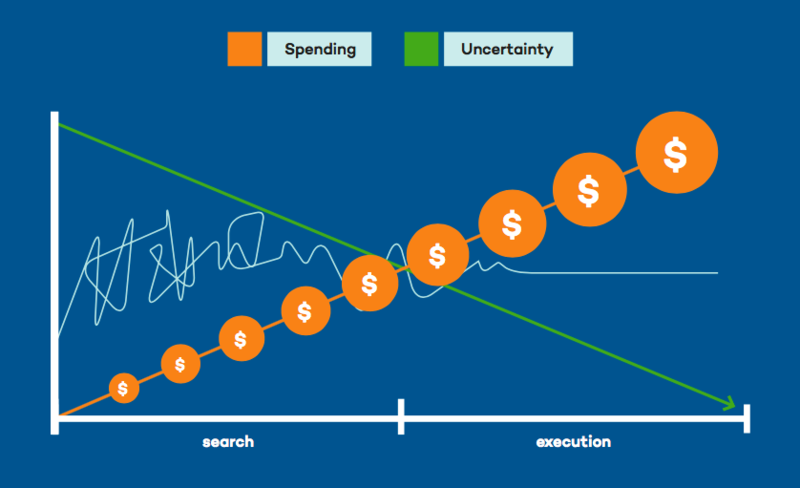 As uncertainty in your tests goes down and you start to see which ideas are working, spending goes up and you go into execution mode. At OutboundView, we help companies reduce uncertainty by testing and identifying the best predictable pipeline strategy. We help set the strategy, including the key resources needed to implement the strategy, and decide where sales and marketing dollars should be spent. The result is an executable plan that doesn’t require a $150K/year CMO, and gives you the best chance to increase revenue. Who’s your target customer (ideal customer profile)? It’s an easy question, right? It should be, but oftentimes companies looking to scale struggle with going beyond the basics. The most commonly used customer profiles often include descriptors like industry, revenue size, location, or employee count. We hear prospects say things like “we target the mid-market” or “we focus on enterprise customers” – but what does that actually mean? What type of enterprise customers should you spend the most time targeting, and which are most likely to buy from you? The Basics – Businesses often overlook tremendous value in determining their ideal customer profile by neglecting to dig deeper. Within this space, you’re only discovering topical information such as employee count, revenue, location, or industry. This is just a starting point, not where your research should end. Account-Based Research – What are key strategic priorities for the accounts you’re targeting? How does your solution help them achieve their goals? What can the technology stack of your target customer tell you? 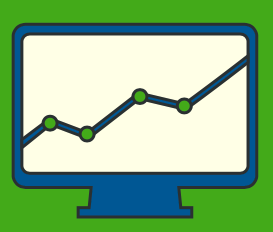 Account-based research gives you an extra level of targeting above and beyond company size, revenue, and industry. Buying Triggers – Which activities inside an organization indicate your solution could be a fit for them? For example; at OutboundView, when organizations are hiring inside salespeople, it typically means our services could be a fit. When a new VP of Sales is hired, that is a good time for our team to reach out and discuss their lead generation strategies, because they’re typically reviewing new sales processes. If we can tell a company isn’t getting any inbound traffic, that tells us that the target needs outbound marketing. Identifying the triggers that drive organizations to buy is absolutely critical for top of funnel targeting. Finding target accounts that are showing “buying triggers” for your business should be the highest priority for your top of funnel outreach efforts. Who’s your buyer? Not ideal company target – we’re talking the customer writing the checks or using your products. 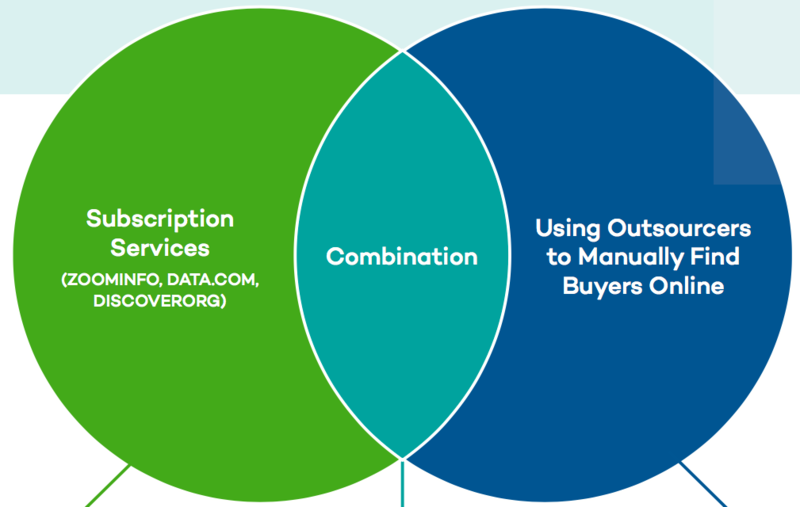 We at OutboundView help our customers build buyer personas by focusing on two categories: Decision Makers and Doers. Decision Makers are the individuals focused on high-level, strategic outcomes, and are usually writing the check for your product or service. Doers are your users focused on the day to day tactics supporting your product or service. Why is this an important distinction? Each requires different strategies to spark interest in your product or service; but most importantly, each requires a different messaging to initiate a discussion. Buyer personas are the first step in the sales and marketing process. They help businesses clearly define who the key decision makers and influencers are at a prospective company. These personas clearly establish who the targets are for your team. Most importantly, buyer personas outline the specific value proposition, thought-provoking questions, and resources needed to lead efforts toward an opportunity for each type of Doer or Decision Maker. Start small with a goal of 2-3 buyer personas. Think pain points – What makes your customer’s job difficult? Keep in mind these pain points need to be related to their overall job, not just pain points your solution solves for. Perform customer interviews and ask your buyer the tough questions, don’t just make assumptions. Make them tangible! Create bio pages for “Bill the Buyer”, ”Sally Seller” and have fun with it! Think “Personally” and “Professionally” – How does your solution help your buyer reach their goals, both personally and professionally? Create a unique value proposition for each type of persona. End with messaging – As the last step in the process, build messaging that aligns with the customer’s pain points and helps differentiate your solution. List building is the number one place we see companies stumble with outbound marketing. They don’t have the processes, tools, or infrastructure to consistently find new companies and people to reach out to. Subscription Services – Many of these services can be expensive ($5-10K/year minimum), but it’s completely worth it. Don’t be the company that pays salespeople $50K+ per year but won’t buy them the tools that would make them 5X more efficient. Having the right contact information is absolutely critical for outbound efforts, because it allows you to scale your campaigns. Using Outsourcers to Manually Build – For $5/hour you can have dedicated outsourcers pull prospects who fit your ideal customer profile and buyer personas. They can guess their email, gather their phone numbers, and provide your team with in depth research. Most companies rely on their sales team team to do this work. We believe in freeing up your best talent to do what they do best – SELL. Spending $5 an hour on this work is better than paying someone $40K a year to do the same thing. This should give your sales team more time to execute calls and customize emails instead of list building. A Combination of Both – You can buy your outsourcers licenses to your subscription service and they can spend time on the more manual tasks while your team continues to sell, personalize, and create inroads with your targets. Set your virtual assistants up as a user. 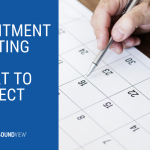 Setting up these processes for the long term is the difficult part, BUT, it will pay dividends as you scale outbound activities and create revenue opportunities for your team. Building out your lists is costly in time and effort. It’s extremely manual if you’re doing it on your own. Unfortunately there’s not just one approach that works for list building. Best case, your buyers are on one of the subscription services such as Zoominfo or DiscoverOrg. Worst case, you have to automate a manual effort of pulling buyer information from LinkedIn or wherever your buyers are. Most likely, a combination of outsourcers and a database purchase should be your end solution. We believe strongly in integrating outsourcers into your outbound list building process. Whether it’s finding contacts, finding contact info, or helping your team with research – they can be instrumental in your outbound process. You’ve got your list, now what? Back in the day, you’d say dial until you’re blue in the face. Today, your customers require a multi-pronged approach. 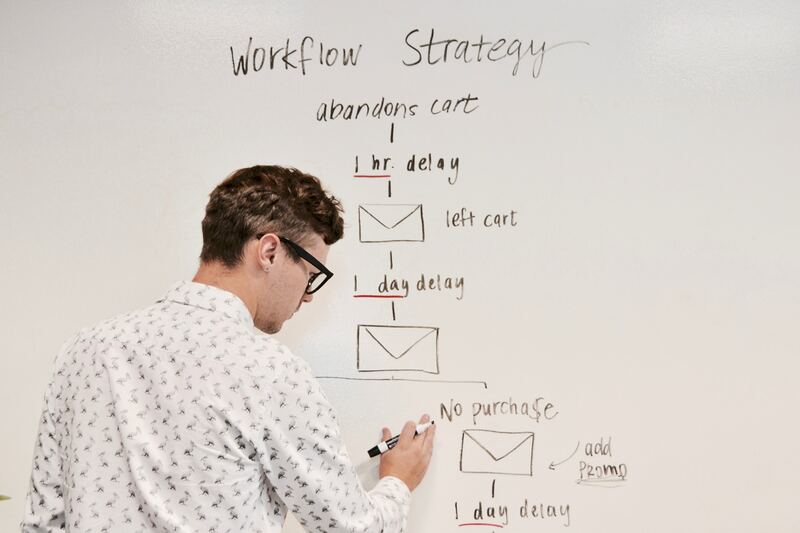 This means your tools and systems must enable your teams to run campaigns over time. Here are the technological must-haves to kick your team’s’ efforts into overdrive. If you’re B2B, LinkedIn Sales Navigator is a must-have for your sellers. The advanced filtering and searching is great for both finding the right companies to target as well as the right individuals. If you are familiar with marketing automation tools like Hubspot or Eloqua, this would be a similar type of tool geared toward your sales team. They help you manage multi-touch campaigns (X number of touches, over X amount of days) and the lists of prospects you are reaching out to. These tools help you manage your outreach campaigns by clearly defining what you should be doing each day – email on day one, call on day three, email on day five, and so forth. The best part is that you can see the results, optimize, and continue to improve your outreach efforts. What these tools really help with is list management. For example, say you have 300 new targets. You send 50 emails on day one and get five incorrect emails, seven responses, and three out of office replies. The software can automatically pull out contacts that have bounced or responded so you don’t send another email to people you are already interacting with. One of the most important things about these tools is they are sent through your sales team’s email client. 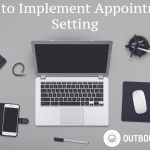 Outbound emails should look like they’re personalized for the prospect, even if they aren’t. Using tools like Mailchimp, Aweber, or your CRM is not the same thing. Personalization at scale increases your response rate. You need one place to keep track of everything. When you start doing outbound it will be important that you are tracking what is happening across your campaign. There are hundreds of different CRMs out there, and they’re all pretty much the same. If you have any doubt, and can afford it, go with Salesforce – it integrates with everything. “Hi Ms. Target, nice to meet you. The differences are exaggerated but you get the point – the first example is focused on your company and your product, the second is focused on your buyers problems and tries to provide value to start an interaction. Buyers today are bombarded with information. In your messaging, consider how you’re demonstrating value to them. Are you building trust or are you ending up in the spam folder? Talk about problems of the buyer, not your product. Be aware of the company, person, and dynamics of each. Personalization at scale yields tremendous results! Build templates for your campaign early – get 80% of your campaign done before you start, then customize based on the person receiving your message. Focus on building credibility, not pushing your product. Include strategic initiatives of the target firm. Reiterate common job responsibilities by title. Reference previous conversations with others at the company. Use your buyer personas to create valuable conversations with prospects – for both you and the buyer. Don’t send blanket messaging to different levels of the organization – The VP should get a different message than the front-line job title you are targeting. Follow up and reference your outreach. Our recommendation is to build multi-touch campaigns that are a combination of all of the types of outreach listed above (and any others applicable to your business). Build a 7-10 part multi-touch campaign over a 30 day period. If you can’t get a response after 30days, move on to someone else and come back to that prospect later. 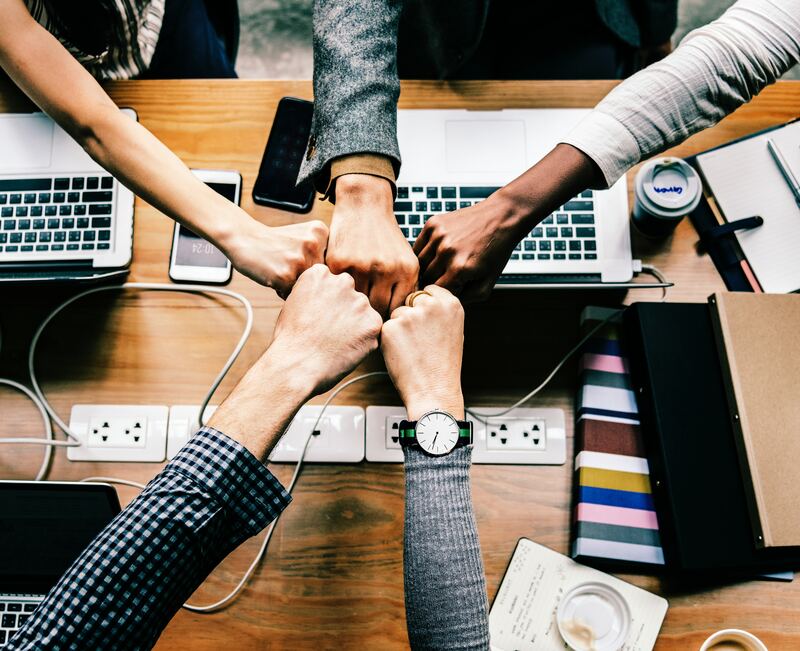 You’ve built out everything, defined the buyer, focused on building credibility, created messaging, campaigns, and multi- channel distribution strategies. Guess what? It’s not going to be perfect – and that’s okay! 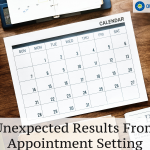 It’s important to keep in mind that your sales efforts are constantly cycling – identifying prospects, reaching out to clients, measuring results, and repeating it all. Rapid experimentation and learning is one of the keys to a successful outbound marketing team. The faster you can learn what’s working and then scale it, the better. The faster you can figure out something isn’t working (which will happen a lot) and kill that campaign, the better. Inside sales teams waste countless hours, days, weeks, and months executing campaigns that are not performing well. Make sure you’re communicating with your teams, measuring results, and trying new ideas to attract the right prospects. There’s a popular methodology called Lean Startup that can be applied to the outbound marketing process. 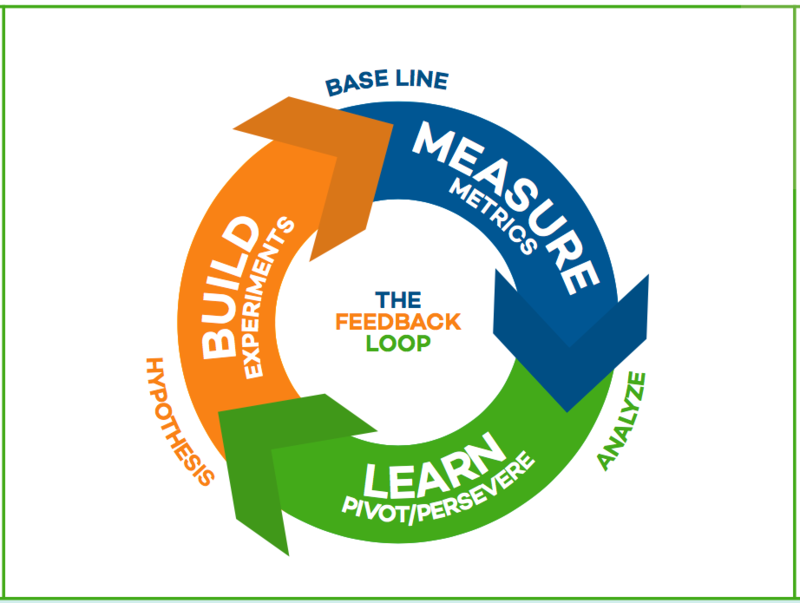 Lean Startup is a process for shortening development cycles by adopting a combination of hypothesis-driven experimentation and validated learning. Here’s what that means in plain English: Lean Startup methodology will help you rapidly experiment to improve your outbound efforts in three steps. Measure it – Scale it or scrap it? Learn – What did we learn that can be applied to future campaigns? You have a weekly meeting where the sales team brainstorms different campaigns they would like to run. The team members call out who they’re targeting, what the messaging will be, how they’re delivering the message, and a clear definition of success (or failure). This process gets sales teams in the habit of calling their shots beforehand and thinking in-depth about the campaign. The first half of the weekly meeting is spent reviewing past campaigns. Successful campaigns can be scaled to other team members while unsuccessful ones are shut down immediately. The second half of the meeting is spent designing new experiments using information learned from your successful campaigns. All of this is tracked. Use Excel or Google Sheets – you don’t need a specialized tool for everything! Everyone knows they should be creating content. But, content for content’s sake is just noise, and usually a wasted effort. This type of output is only valuable if you have a built in audience (followers, subscribers, etc.). Otherwise, you’re just wasting your time creating content that no one even views. So, let’s refocus our efforts! Remember, inbound marketing is time-consuming and often takes a long time to pay off. But when it does pay off, it will probably be the highest-converting marketing channel you have. New Prospects – Typically this section falls into writing content that is shareable and findable. What does that mean? Shareable means people in your industry find the content interesting and are more likely to share it. Findable means when people are searching (on google, social media, etc. ), they can actually find your content before they find others’ content. Findable starts with keyword research. What are customers searching for? How often are people searching for specific words or phrases? What keywords are competitors using? How likely are you to outrank against another websites for a specific keyword? You sell a compensation management software to the HR department of large companies. You are researching the keyword “compensation management software.” You find that there are 10,000 searches for this term per month. You find that the top three websites that rank for this term are IBM, Oracle, and SAP. All three of these companies have really high domain authority (i.e. Google thinks they are important). How can you create a piece of content to outrank IBM, Oracle, and SAP? It needs to be great, and even that might not be enough. In this scenario, you’ve found a keyword that gets a lot of searches but you have a very small chance of actually ranking in the top three spots on Google for this term. So, what’s next? You could spend thousands of dollars and hundreds of hours trying to get into the top three for the term compensation management software, OR you could find a more niche term to try and rank for where the competition isn’t so stiff. Remember – The goal here is to build momentum for your company over time. Start by going niche to get noticed. This approach will cost you less, attract more targeted prospects, and build momentum for a high ROI content strategy. Move Prospects Through the Pipeline – You’ve identified prospects that are interested in your solution. That’s great! And it’s just the beginning of your Inbound journey. Now, it’s time to determine what type of content you can create that will help prospects move through the sales process. 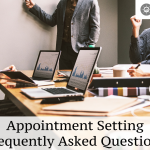 An easy way to do this is to keep track of the questions your prospects are asking in introductory calls. What are some of the most immediate questions that you consistently get asked? Start there, and create content around those questions (don’t forget to pair this with those niche keywords!). Use this type of content on your website to continually inform and position your organization as a thought leader in your space. Keep getting noticed! An easy way to think about this is to ask yourself, “What type of information would my prospects need at each stage of the sales process, from discovery call to close?”. Map out your sales process and you’ll find great opportunities to write content that will help motivate your buyers. Remember: Don’t just focus on top of funnel content, creating mid-funnel content can be just as important in driving your sales. What type of information could you create and send to the prospect before the call to help the call go better? Do you have the right type of information to follow up with the prospect after each conversation? What type of information is helpful for the prospect before the demonstration, and so forth? So you know what to write about, where you have the best chance to rank, and the content is ready to go. Now what? For most companies, they post it to their blog and pray – or they post it out to their social media and … that’s it. 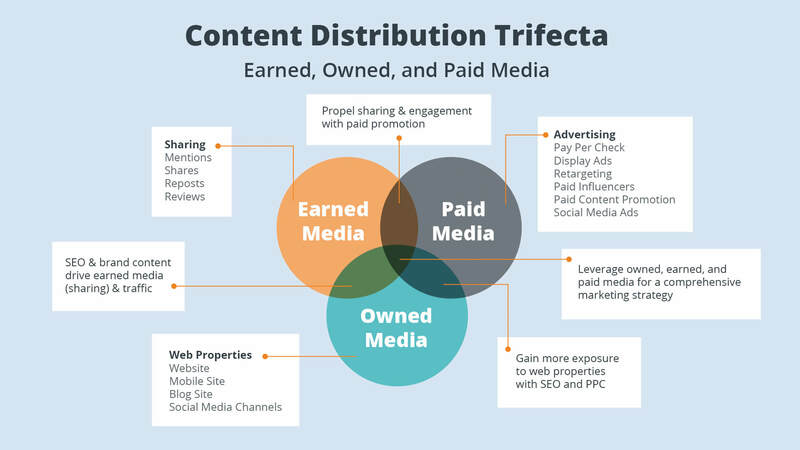 A distribution strategy ensures you are getting the most out of the content you are creating – it’s a plan to get your content in the hands of your buyers. This means your content strategy needs more than just posting to your internal blog. Each piece you create must have a detailed distribution plan which outlines the tactics you’ll leverage to get it in front of your audience. The best inbound teams have individuals 100% dedicated to distribution. That’s all they do. We understand that not every company has the resources to have a full-time distribution specialist – but distribution has to be an integral part of your inbound plan. You’ve determined what topics are going to engage your audience, where they’re getting their information, and you’ve developed a good communication strategy to attract buyers and customers. There’s a publication for every industry (for example in the selling world there’s Selling Power), which one does your target buyer subscribe to? It’s important to find the channels of information and content flowing to your targets. If you can tap into these resources, you’re going to attract the right customer more often. Getting interviewed in a targeted publication can create a significant flow of incoming leads. The key to getting into the right publications is all about relationships and providing a unique angle. Build a relationship with editors and writers at these publications. This process can take a while, but when it pays off, the rewards will be huge for your business. Podcasts –Podcasts are a great way to get in front of your buyers. Which podcasts are your target buyers listening to? Niche podcasts are always looking for new guests and a unique angle. Find the right podcasts and pitch yourself on providing value to their listeners, or, even better, start a podcast in your niche. Interview those influencers we talked about above, and provide your unique angle. There are a lot of great services out there that help you manage everything around a podcast, so all you have to do is create the recording. Targeted Interest Groups – Is there a professional group that you should be in front of? For example, if you sell marketing services in a local market, where are the groups of CEOs in that market meeting on a regular basis? How can you get in front of these folks? There are organizations like Vistage and Entrepreneurs’ Organization (EO) where CEOs meet regularly – do you have value that you can provide to that group? You can also target interest groups based on the niche you are selling to – for example, if you are selling into HR every local market has a SHRM or ATD Meetup. Join panel discussions and apply for presentation spots at the conferences. Set up Socials. Not those boring steak dinners! Do something different like inviting CEO targets to a brewery tour, cigar making or sushi rolling classes, whiskey tastings, the opportunities are endless. Keep it casual, informative, and plan an event that makes their trip memorable! Paid Advertising is a fantastic tool to find prospects who are searching for your products and services, engaged with your brand in some way, or fit your buyer personas. The best part is that when optimized correctly, paid advertising can work really fast. You can go from having zero leads to an influx of leads pretty quickly. Paid advertising can be difficult though, especially when trying to optimize it correctly. Paid advertising can also be really expensive, and if you don’t know what you’re doing, it’s easy to waste thousands of dollars. Here are some of the major platforms, and key considerations for each platform. AdWords- can be used to advertise to people searching for specific keywords on Google. YouTube-You can also display video advertising on YouTube based on quite a few different criteria including keywords, channels, and people who have visited your website. Display advertising- can be used broadly on specific websites or general types of websites. You can also run display ads at specific individuals who have visited your website (retargeting). There are a lot of options here, and to optimize via Google you really need to know what you are doing. The costs are all over the board for different types of keyword advertising, though display and retargeting can be very affordable. Typically a marketing agency or individual expert is a great resource to effectively optimize on Google’s different platforms. Facebook & Instagram – Facebook’s ad platform (same as Instagram) is very advanced. You can target people based on just about anything – age, gender, income level, location, interests, etc. The level of targeting you can do via Facebook is amazing. Once again, it’s easy to set up a few specific ads, but you will really make your money optimizing them. It’s a must to test different images, verbiage, landing pages, and to constantly update the feel of your ads to stay optimized. Facebook is a pretty affordable platform given the level of targeting you can do – it’s very possible to get $1 or less per click if your ads are optimized. The more engaged people are with your ads, the cheaper they will be. Typically, you will need an expert if you are serious about implementing a Facebook/Instagram ads strategy. LinkedIn – LinkedIn has somewhat advanced targeting – you can advertise based on job title, industry, specific companies, company size, etc. The ad platform is nowhere near the complexity of something like Facebook, it has a handful of select categories you can target and that’s about it. LinkedIn is also pretty expensive – usually $5+ per click – so you’d better have some dollars to spend. There are certain places I really like to use LinkedIn – for example, we recommend you run ads at companies that are actively in your sales pipeline. This can be an inexpensive way to send targeted messaging to people who you know are in the buying process. Best case scenario is you have someone on your staff with the ability to help you test paid advertising. If you don’t, the next best thing is finding a local expert or small agency to help you manage your paid ads. Keep in mind, nobody knows if paid advertising will work until they try it. The “testing” part of paid advertising is where really good resources make their money. They adjust messaging, images, colors, giveaways, etc. to reduce the amount of money you are paying for each paid lead. Most advertising agencies cost a minimum of $1,000 just to manage your paid advertising, and that doesn’t include the costs you will be spending for the actual ads. Many companies just starting paid advertising make the mistake of sending traffic back to their home page or their product pages. You should almost always have dedicated landing pages that you are sending traffic to. The goal of these landing pages can vary based on your campaign – it could be grabbing contact information, asking for a 30-minute consultation, or asking them to download valuable content you’ve created. There are great tools like leadpages.net or Unbounce that allow your marketing team to easily create landing pages that can convert the traffic you are sending from paid advertising. There are very few B2B companies where paid advertising shouldn’t be a part of your marketing mix. The upside can be huge from a revenue perspective. Paid advertising helps you enhance your other marketing channels as well. Our most successful clients use paid advertising to promote their best inbound marketing content. They use paid advertising to enhance their outbound marketing campaigns or target specific companies when they are doing account-based marketing. Start small, find a resource that can help you appropriately test, and scale your spending as you see results. You’re ready to grow rapidly and you need the talent to do it. Where do you start? A top level marketer for $100,000+ per year with strategic experience. Finding the right sales talent that matches your organization’s maturity can be very difficult. Just because someone has shown success in another organization doesn’t mean they will be a good fit for yours. Companies need to sit down and consider how and why they are trying to scale the sales department. Is the Founder/CEO too busy to close deals or too tired of doing sales? Did you just get funding and assume the first hires should be in sales to help you start growing? Companies often hire salespeople before they are ready. More salespeople doesn’t always lead to more sales. Before you hire anyone, make sure you have the right structure and processes in place so you can accurately predict what plugging in a new salesperson will net you. Hiring salespeople to “figure it out” is not a scalable model. You will burn through your cash much faster than you can acquire new revenue. Inside Sales vs. Outside Sales – What makes the most sense for you today? It’s difficult to do both inside and outside sales – you don’t find very many people that are good at both. If your existing team is overwhelmed with leads or can’t follow up appropriately and in a timely manner with prospects, you probably need to focus on closers. On the other hand, if you don’t have an inbound engine, or successful paid advertising, a good inside sales team can generate those much needed leads for your seller to close. Lean on your executives to close as much as possible when the organization is young, they usually close at a much higher rate than any outside sales hire will. Before you hire salespeople, make sure you have the right tools and processes to make them successful. Where’s our bottleneck in the sales process? Are we struggling with lead generation, client follow-up, closing deals, or something else? 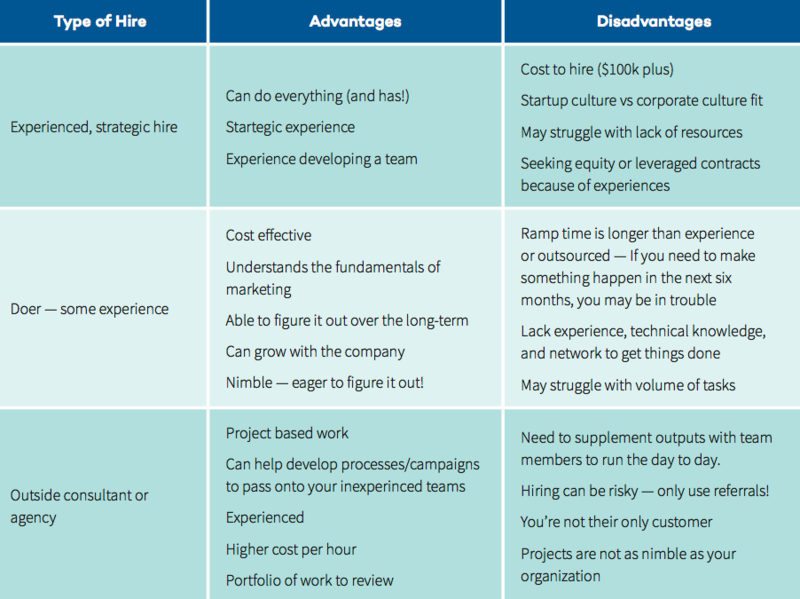 Do we want top talent at high cost or someone with the capacity to succeed at a lower cost? Is it necessary to hire someone with industry experience? How long will it take to ramp a new sales hire? What is the right structure of inside sales vs outside sales? What’s going to set us up for success in the next 6 months to 2 years? What do we consider to be a great fit for the company, team, and our future? At OutboundView we help B2B companies design and implement top of funnel lead generation strategies. Here is the process we take clients through to build a complete top of funnel marketing machine. If you would like additional information on OutboundView, don’t hesitate to contact us for an intro discussion.